We all enjoy both concepts. 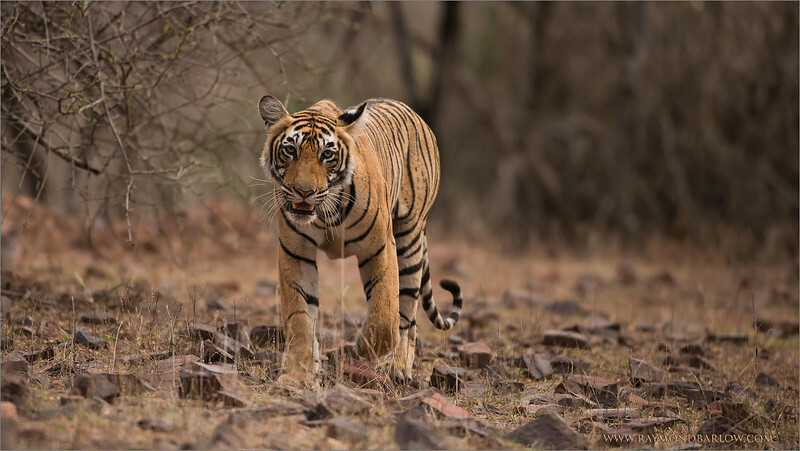 In the end, there is nothing better for me then my desire to Respect Wildlife. Leave wild animals and birds to live a natural life. The fun in photography for me is the creative side., taking my equipment and working on a beautiful scene, trying to get the most from the opportunity. 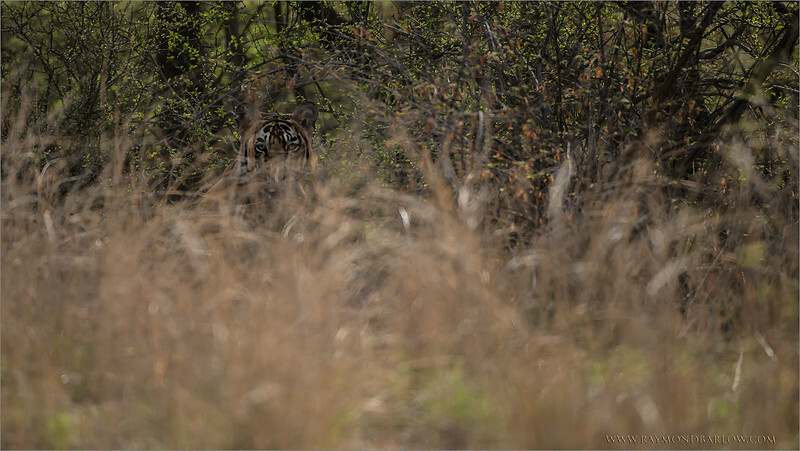 Using manual focus, I was able to lock onto the tiger, and use the environment to help it look natural. I hope you like it, but if you hate it, that is good too! Best wishes for a good weekend! Taken last summer during my tour near NYC - Please join us this year! Beat wishes for a good week! 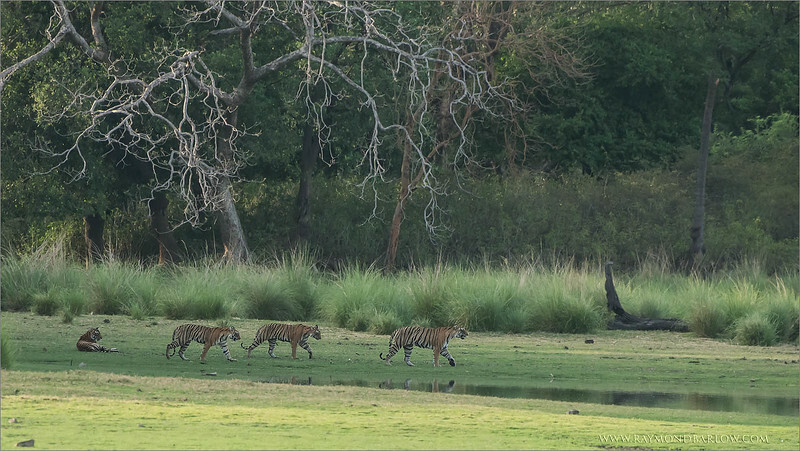 Limited Edition Print - Tiger Family on the Move! Sized -66" wide x 22" high! I hope your interested, only 20 copies on the first run. Would you like the first copy? Thanks to my friend John from Colorado for this suggestion, extra large print, and 4 tigers tack sharp! Selling price - $750.00 USD - we are printing only 20 copies. 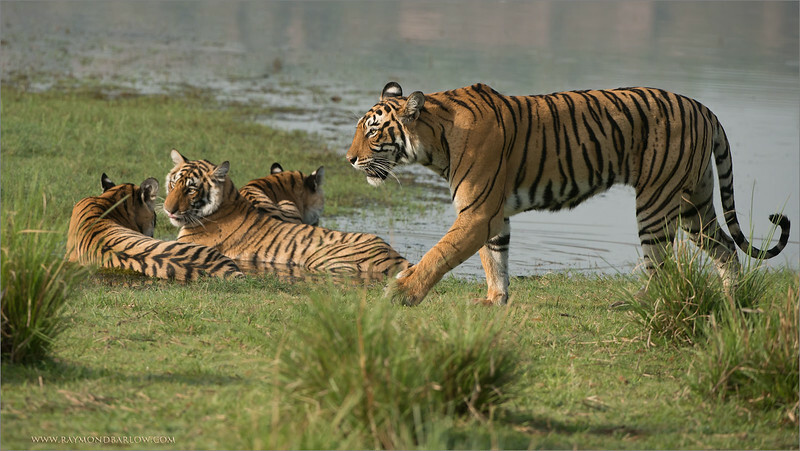 Royal Bengal Tiger Family, Ranthambore NP, India. Thanks to all my friends here on G+ .. just turned 92 million views! 47 million in the last 2 months! Amazing! Thanks so much for the nice comments and so many shares. deer around the park. This pond was very popular! Please help save and protect nature. We are set to go for June 9th, 2015, another 16 safaris at this most amazing location. Thanks to everyone who has clicked, shared, and commented my recent images.. the last shot is now around 830,000 views! Amazing! Thanks so much! More new images soon, still editing from the last tour we finished a month ago. Save our natural world, so we can all live at peace, for many years to come. These beauties will be ready for photos on my next tour June 9th, 2015... Join me if you wish! We were so fortunate to get ahead of these animals as they were running down across the waterfront. 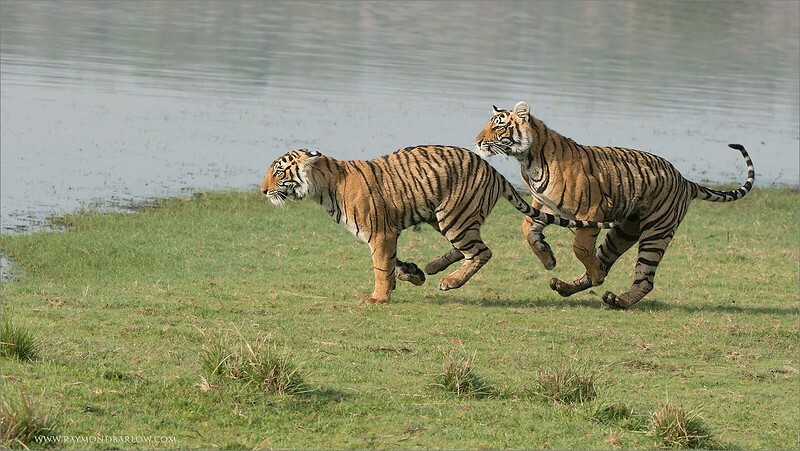 Enjoy nature and wild animals at their best! A photographers dream come true! Please respect and preserve our superb nature. Thanks for looking, best wishes! 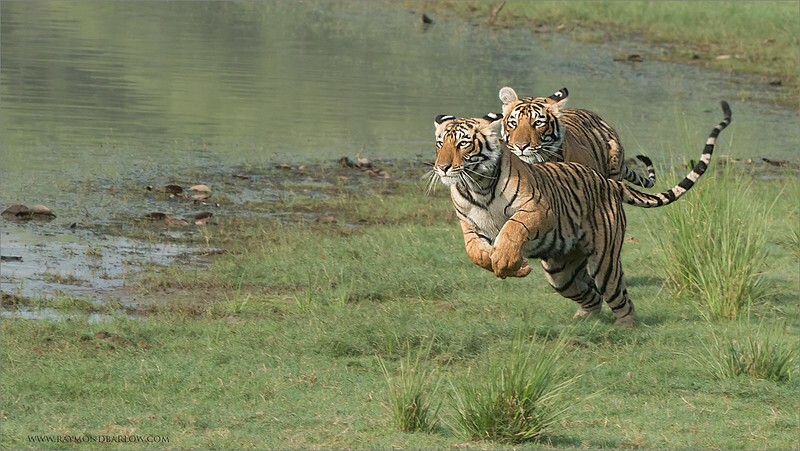 Tiger Siblings on the Run!! Hosting this recent tour to India was a pure blast! Such awesome guests, so much fun! Special thanks to all my friends in India who follow my work, and enjoy the gift of nature. We all need to appreciate, and protect our natural world before its too late. Respect is everything, please treat all wild creatures with kindness, so they will continue to provide a very special entertainment for all future generations to come. My next tour in June is ready to go... would you like to Join us? A Pair of Ladies - In a Sword Fight! Another superb tour just completed in Costa Rica., More coming soon! Thanks to everyone for the nice comments, and encouragement recently, thanks for all the shares! Best wishes for a good day! 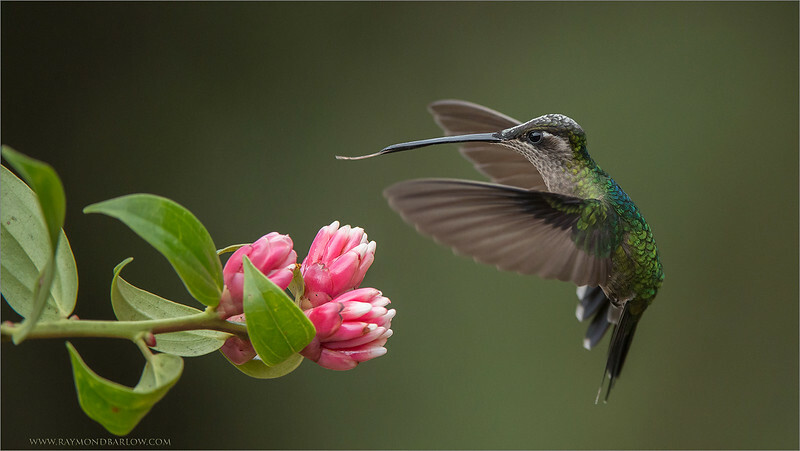 From Hummingbirds to Tigers, then Back! 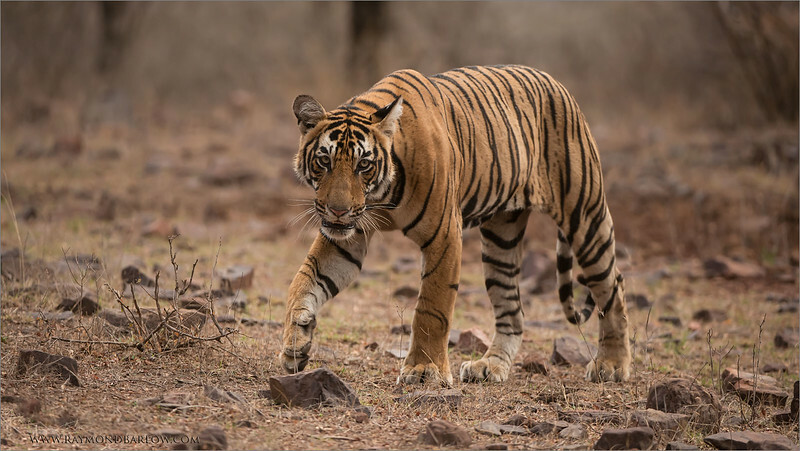 5 tours finished so far this year, now we plan to head back to India for more Tiger photography while the opportunity is awesome! 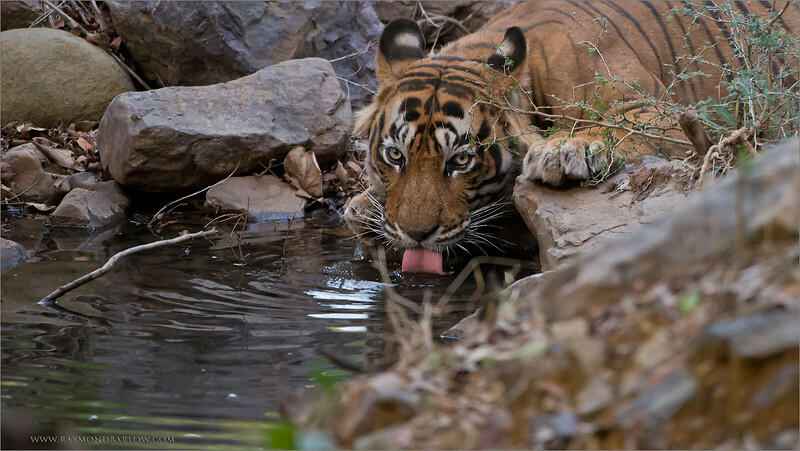 Photo tours are superb in Ranthambore NP, India, superb hotel, and great safari services! Kind regards, please love and treat nature with respect! We had several chances to photograph this beauty on our last photo tour, so luck was on our side. He is amazing! We had him for at least 1.5 hours during this early morning visit., and wow, what a show he put on for our group. Have a good week, protect nature please! A Fire and a Volcano! + Prints! 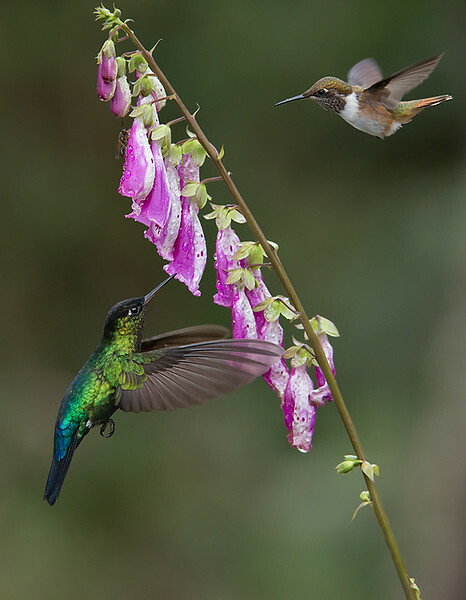 A fiery-throated and a volcano hummingbird in flight on a flower! Not an easy capture, but sweet luck when it happens! Thanks to nature for these beautiful species in Costa Rica! I hope you will order a print? My gallery of images for Limited Edition Prints here! Two Beauties in Costa Rica! Join me for a photo tour! Special thanks to everyone here on G+ - Amazing # of views, comments, shares, and +1's!. Over 8 Million views since the 1st of May! Thanks so much, and the best thing - people do appreciate nature! I love the pure honesty of natural light! Please respect our natural world, and help save our planet! 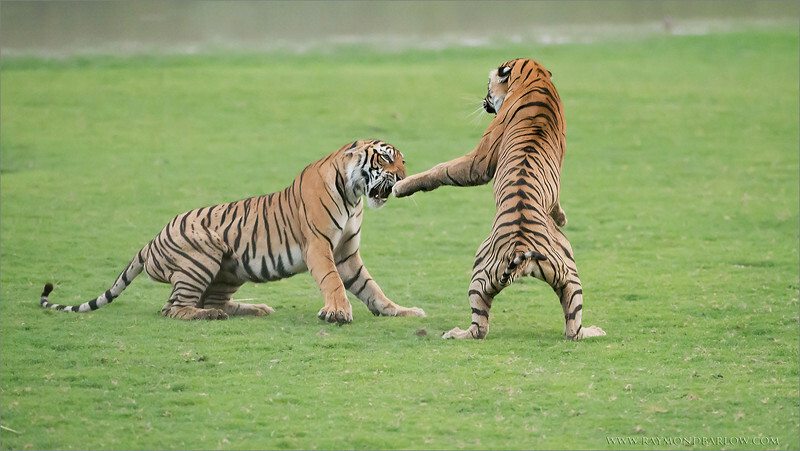 Join me for the next Tiger Tour? Early this June 2015! 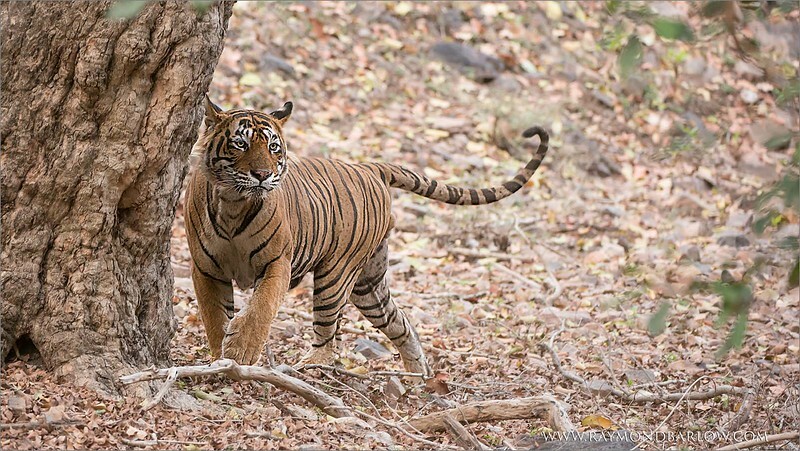 This is "Ustad" also known as T24, a 550 pound Male located in Ranthambore NP, India. 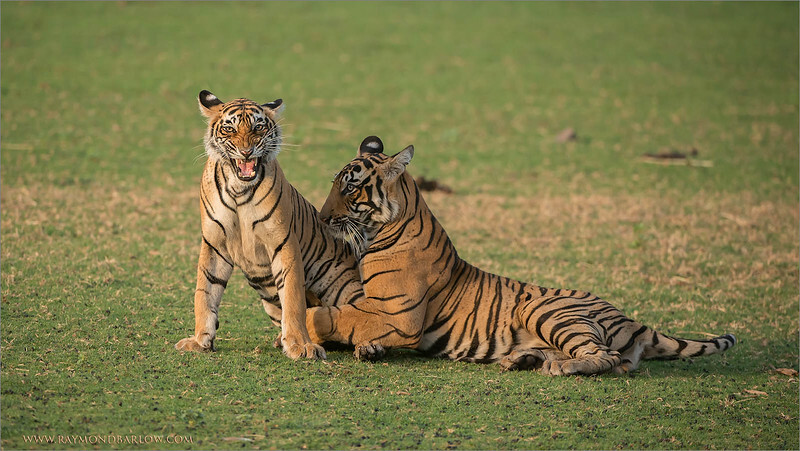 I host photo tours to this location, as we have 2 mothers here with cubs. Superb opportunities and an incredible experience! Ustad is waiting to say good morning to you! I really can't wait to go back! Hope you like the edit? 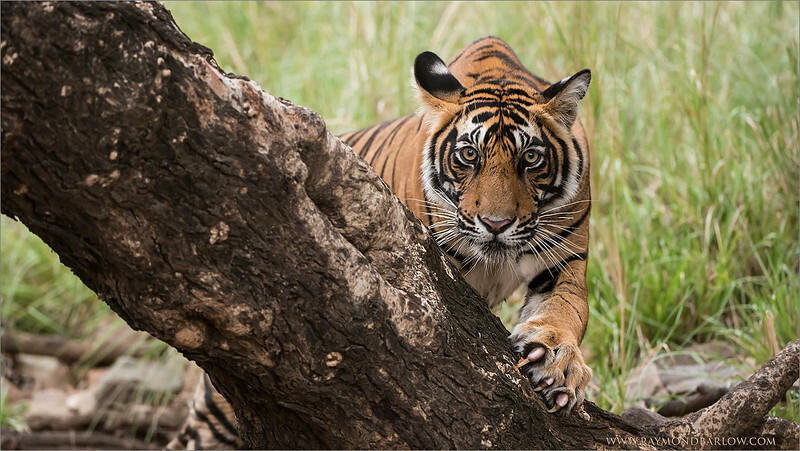 More tiger tours coming soon, please let me know if you are interested. 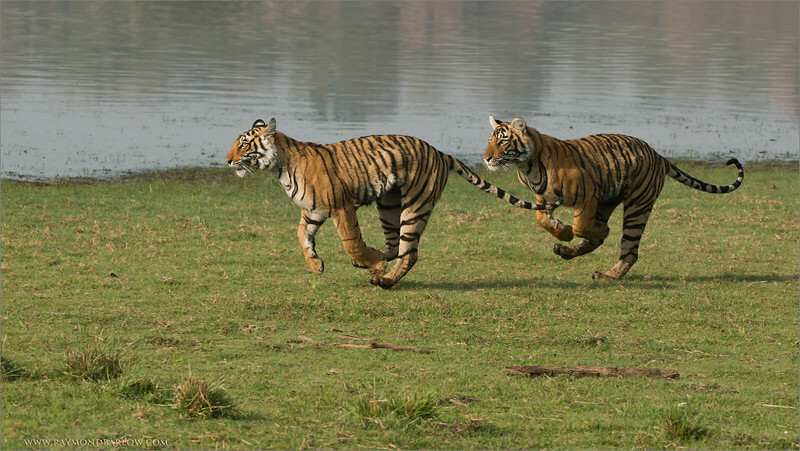 Four Royal Bengal Tigers - Tiger tours to India are extremely safe, and so much fun. We stay in a very comfortable hotel, with more comfort and great service then one would expect. Our guides, drivers, hotel services are exceptional. High local temperatures are surprisingly comfortable with very low humidity at 12 to 15%. The roads can be bumpy, and dusty, but the reward is superb! 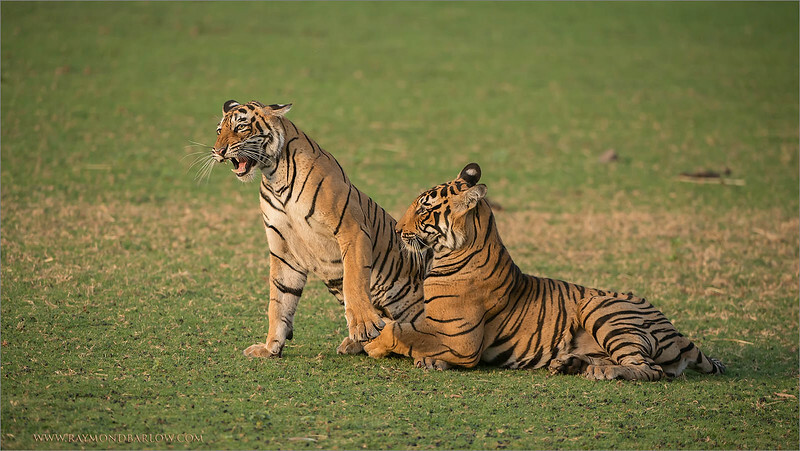 At least 2,000 images of tigers during our 15 safaris! So many to choose from, so I do plan to be posting a few over the next couple of weeks if I have time. We leave for Costa Rica Thursday, so life is busy! Safe travels everyone, more soon! An Awesome Day in India! Many more images to come! 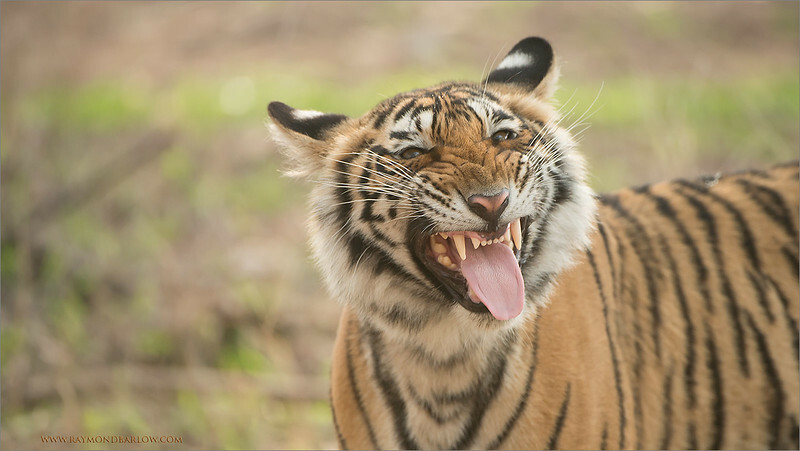 Thanks for looking..
A tiger smells a scent of another animal, and becomes somewhat disturbed! We are enjoying the +42 C heat, and trying our best to enjoy the beauty of our natural world. 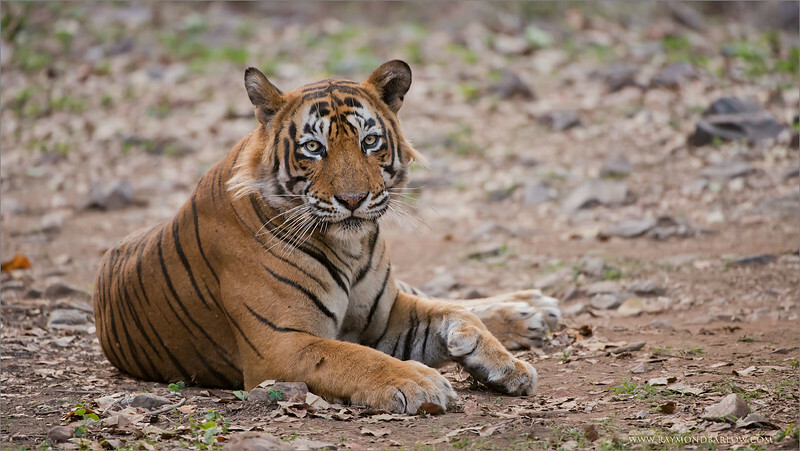 Special thanks to India for preserving the Tiger as best as can be!! Lets keep this animal species alive and well! This animal is so incredible! Never use tiger products please! 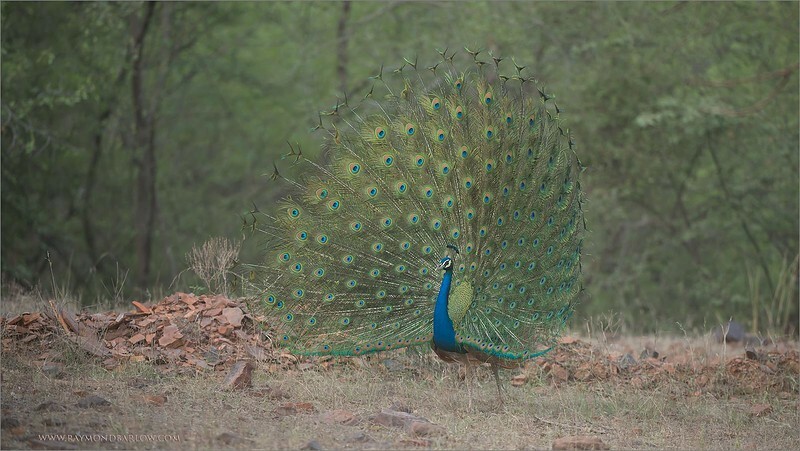 Respect this creature for our children's children to see, and love as so many visitors do here in Ranthambore. 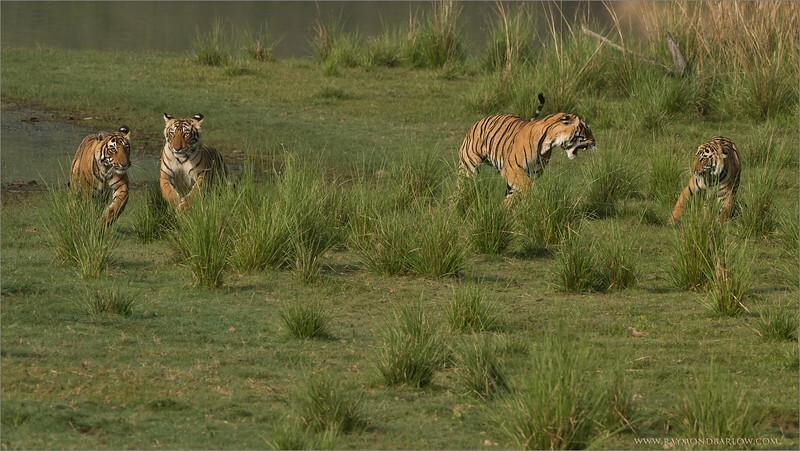 Contact me for more "Bengal Tiger Photo Tours" to see these Tigers! Ustad T24 - The Master! Several sightings and images from this recent tour were taken of this superb cat - Ustad. At 250 kilos, or 551 pounds, he is massive. 8 jeeps were lined up for about 1.5 hours to witness his behavior. At the beginning, he was laying down on the dry leaves, yawning, stretching, and rolling over. 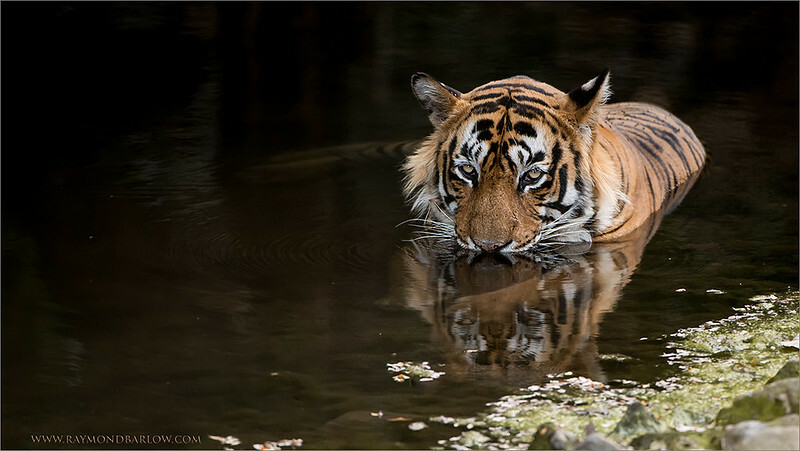 Later, a drink in the small creek, some scent marking, and he privacy was granted as he quietly walked into the forest, out of sight. It's easy for me to open up these files, and process the images. Maybe 2-3 minutes work. Much more difficult is the attempt to convey how spectacular this sight is to witness. 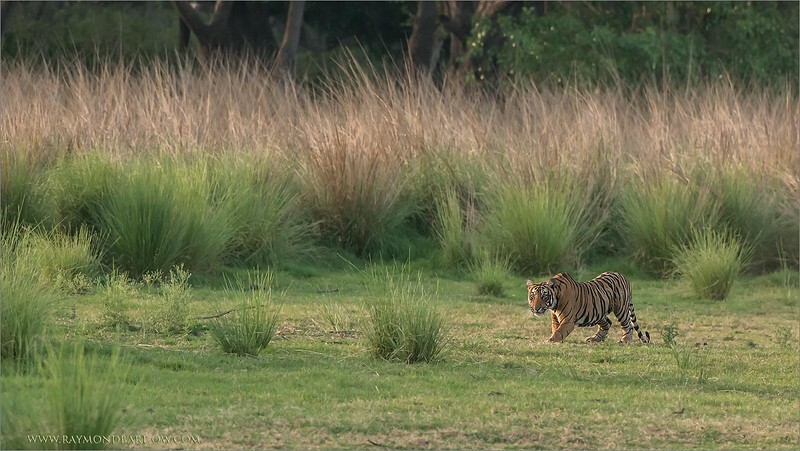 I have seen a lot since I started studying wildlife and nature... when I was 5., but nothing even slightly compares to the viewing of the incredible Royal Bengal Tiger. The experience is overwhelming! This comes with a difficult set of challenges to overcome. Besides my fee, the trip to this location from Toronto is extensive! The flights are comfortable, but very long. We do sleep on the planes, to help make it through the journey. Dust is an issue, these days the roads are dry, so when following another safari truck we do get some dust. The heat! +40-44 C was not all that bad. 12-15% humidity made the climate reasonably comfortable. A miss! 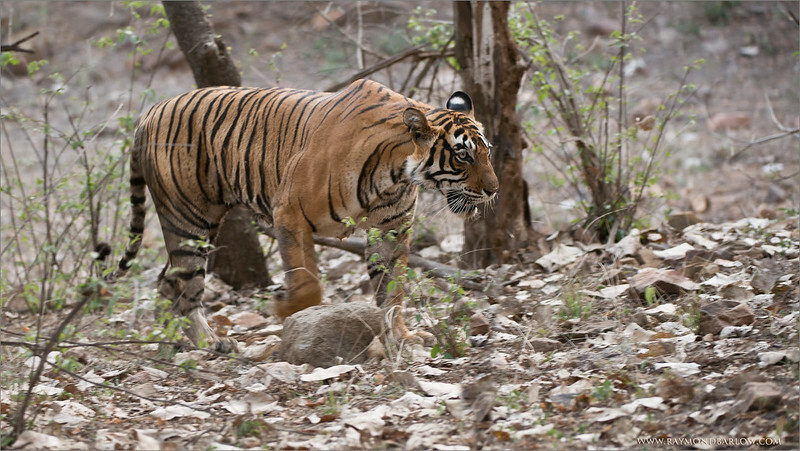 We do not see tigers on every game drive, but we do our best working with the awesome guides. Our 2 guides for this tour - Ajay and Ashoke did a wonderful job taking good care of us. Very good drivers too., as we must have one driver, and one forestry department guide in every vehicle. Saving Grace? 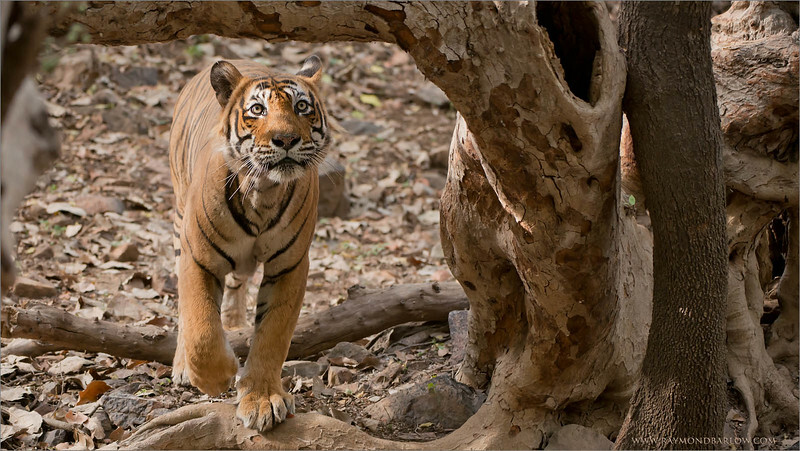 Even on a bad day in the forest, the wonderful hotel - Ranthambhore Regency was our home. We would trek back to this home base for a shower, awesome food, drinks, and a good rest. Beautiful clean rooms, privacy, peace and quiet. And we have excellent staff and services. During the entire tour I am coaching our guests, during the drive, dinner, breakfast, rest time in the bar with post processing info, demonstrations, etc. I am there to help you any way I can. We had good sighting of deer, antelope, monkeys, many birds, bear, besides the tigers, so all is good. I think we only had one slow day! 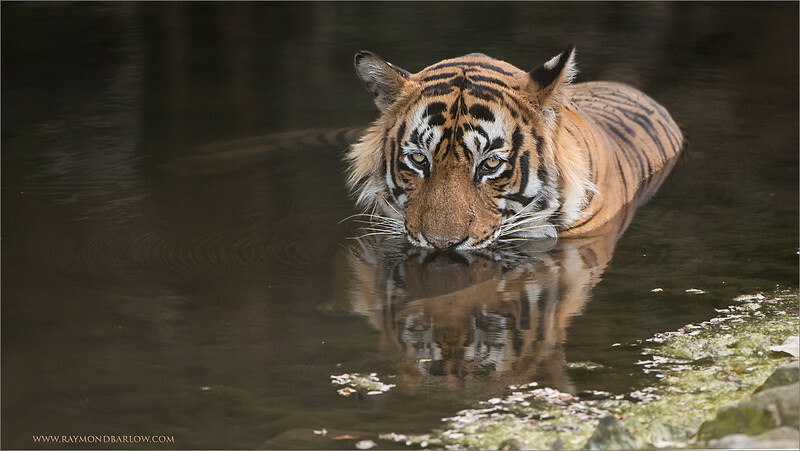 Tiger in for a Swim! Only 1/320th of a Second! 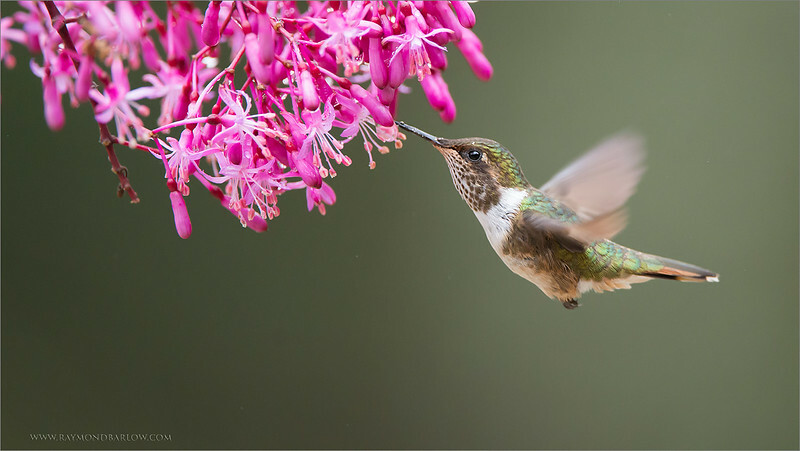 Sometimes a slow shutter-speed can still give a nice looking hummingbird a good result. I was shooting here with my old back up camera, as I lent my prime camera to a guest, who had problems with his gear. 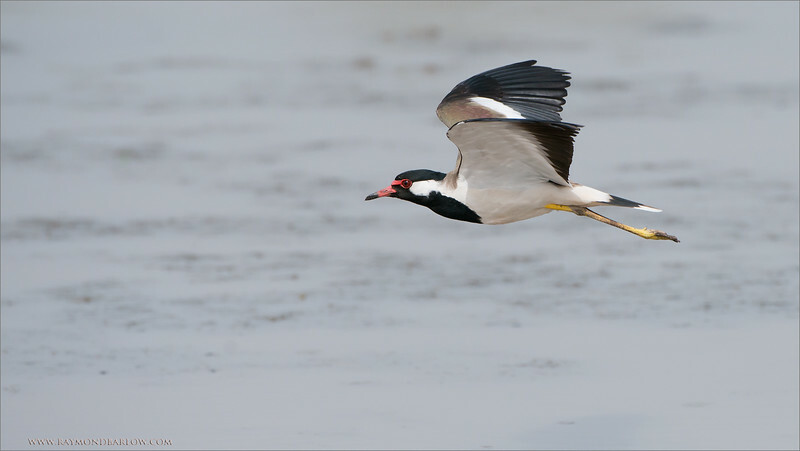 When it come to these amazing birds, any kind of camera can give a beautiful image, due to the shear wonder of nature! I am really looking forward to going back to Costa Rica on April 30th, as we have 2 guests (Suraj and Rajesh!) coming here all the way from India! Good friends, and great photographers! All the comments, and shares keep me inspired to continue! Protect our environment, save nature please! The Female Calls to her Mate! 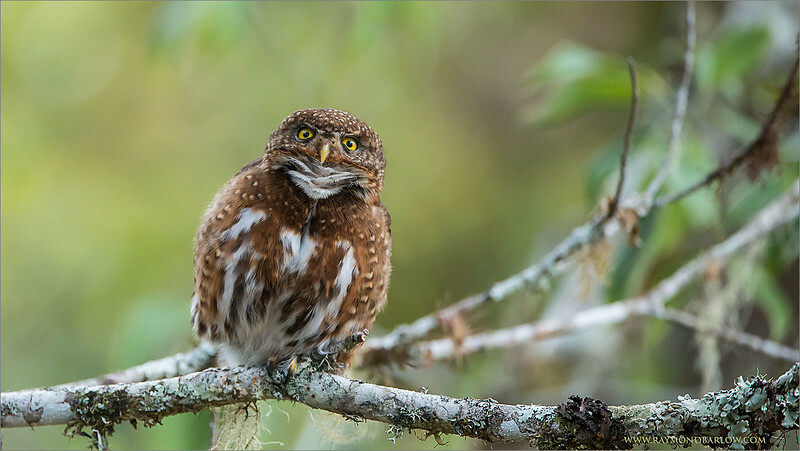 We carefully watched these 2 pygmy owls for a morning, on a hill adjacent to a farm property, south of San Jose, Costa Rica. 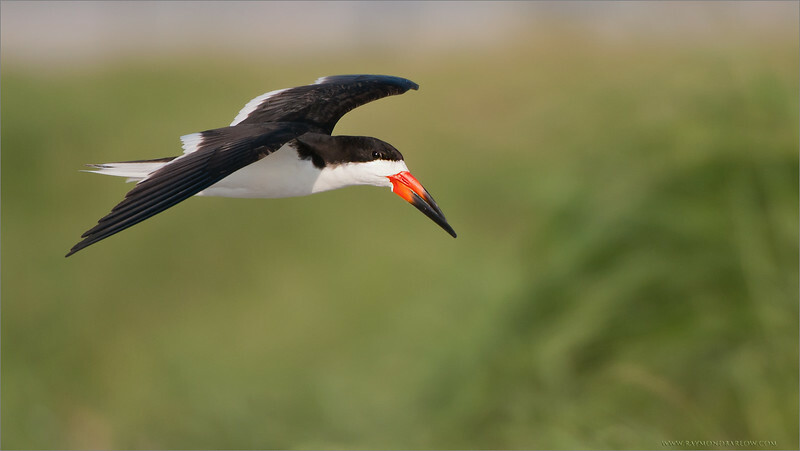 The Male was more active, flying form perch to perch, the female would call once in a while to possibly guard the area., as their nest site was close by. Being careful not to disturb them, we came in and left quietly. these birds seemed totally indifferent to our presence. A shot of the 2 mating, (posted earlier) was so cool, as this was the first time for me to see owls mating. Hopefully another chance in the future! Thanks to everyone for looking, commenting, and sharing my images! Kind regards, and have a very good week! 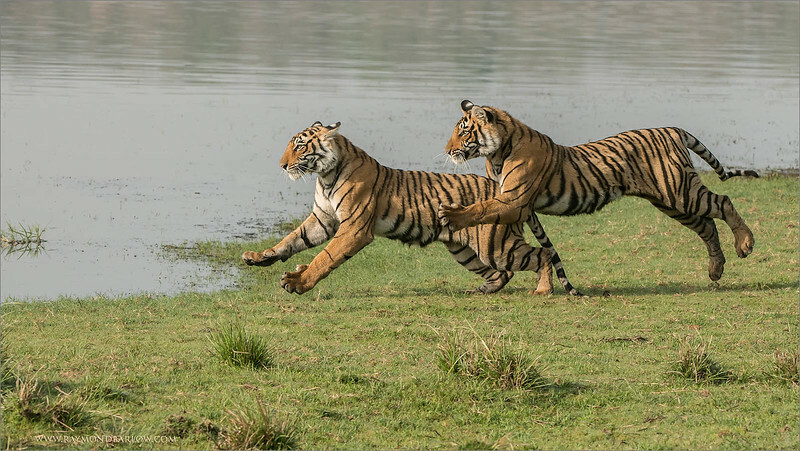 To photograph such amazing nature can be such a reward. With nothing more then a bird, a flower, and natural light. It's simple! I think the real key to nature photography is the ability to sit back, and to learn these species habits. What do they like, when and how? Understanding how nature works, then enjoying the moments is a truly superb experience. Sometimes very special things happen, as some of you who have followed my Nature Image galleries may have seen. I have been so fortunate to be in the right place at the right time. I do think the most awesome part of the entire acquisition of these images is the opportunity to share the techniques with my guests, and to share the images with you! 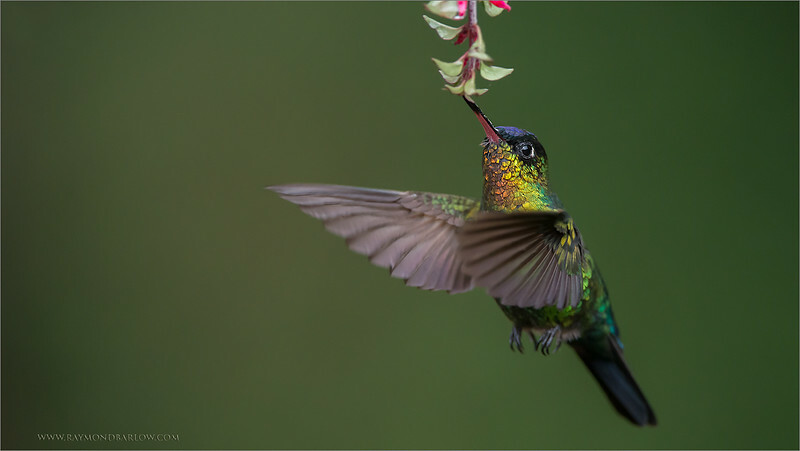 Many people around the world will never have such a chance to see these incredible birds, and their beautiful habitat., so here is my gift... and thanks to the wonderful technology of the internet, photos like these will become more and more available to everyone in all corners of the world. Thanks to everyone on G+, almost 63 million views since last February! I appreciate all the support! Please respect our natural world, and give back the environment to nature. 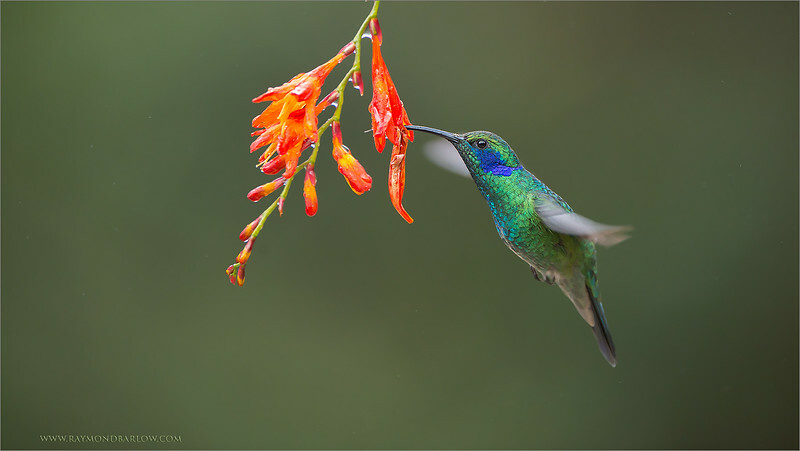 Just after a light rain, still some mist sprinkling in the cloud forest, we have this so beautiful bird feeding on a natural flower! At 9,000 feet above sea level! The Green Violet-ear has such amazing colours, the greens and blues blend in so well with the forest background along with the bright orange on the flower. 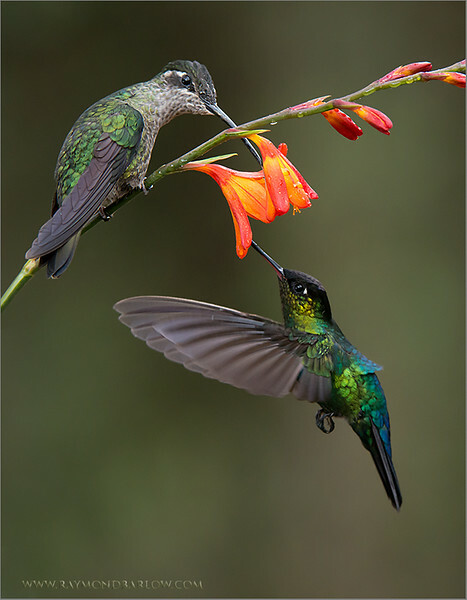 At this location we see the fiery-throated, the magnificent, volcano, the green violet-ear all fighting for territory. Hundreds of bird, and only one camera! No doubt, this is very overwhelming. Thanks to you for sharing, and commenting, very much appreciated! 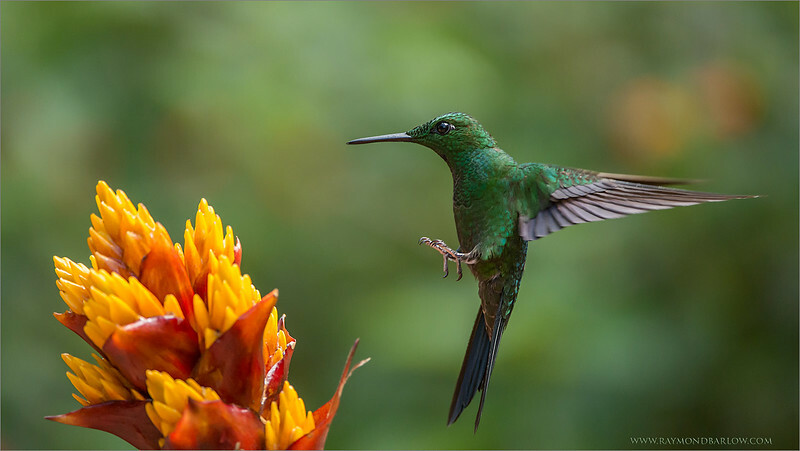 Thanks to Costa Rica for protecting the environment, and saving these amazing cloud forests! Please help and respect nature! A hike in the woods with my 9 year old daughter! 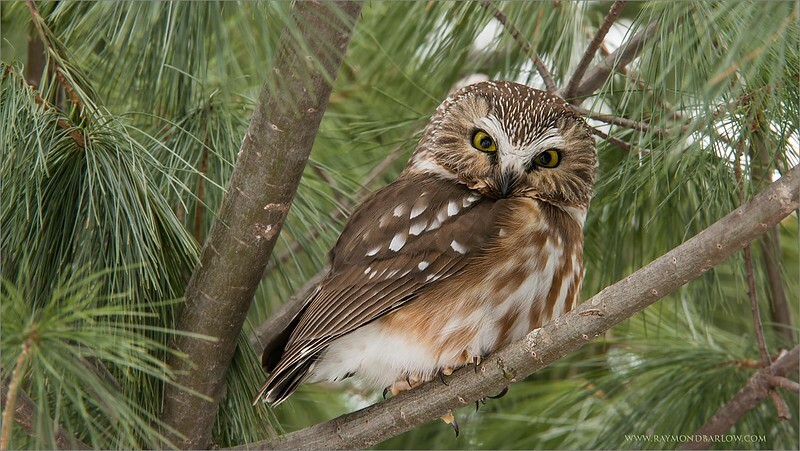 And a great friend, we has a wonderful experience with this very tiny owl, only about 5 inches long! all bunbled up in its feathers, keeping warm in the very chilly climate here in southern Ontario, this bird posed for us for about 20 minutes!! We left it alone to sleep, then moved on to find other opportunities. My Maria really enjoyed the visit! there is something about owls that she finds amazing! Maybe its that look!! This species of owl is more then adorable, so that helps too! Setting up with a tripod, shooting a low shutter speed, low iso, and high f-stop worked well with these conditions. Very little light, and since we were so close (about 10 feet), depth of field was important. Best wishes for a good day, thanks for your kind support, and nice comments, and shares! Such a privilege to have an opportunity to enjoy nature in Costa Rica. 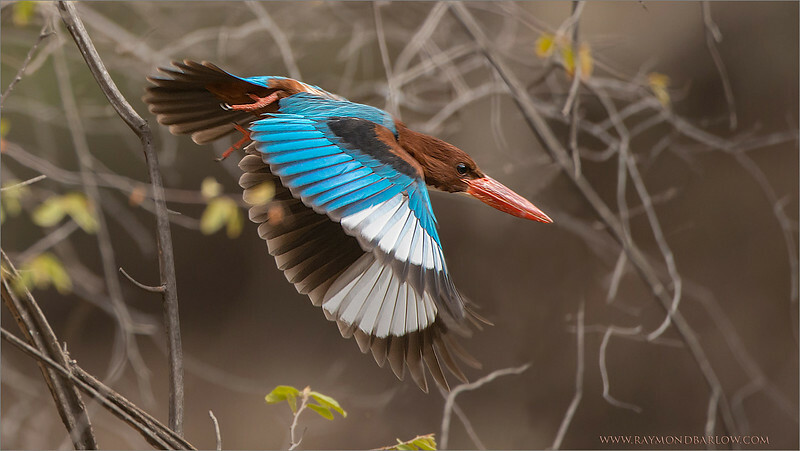 These birds have iridescent feathers that reflect the light with different colours depending on the angle you see them. Thanks to those who share, +1, and comment on my images, very much appreciated! I hope to have more images prepared soon! The superb beauty of the "Resplendent Quetzal!" 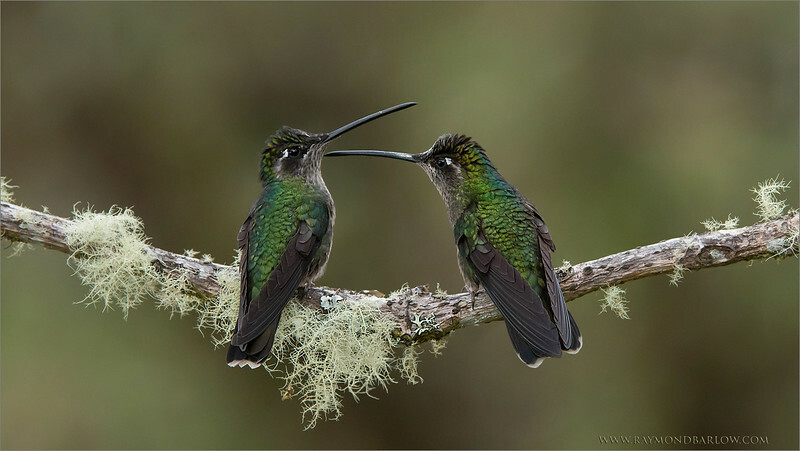 Thanks to the good people in the forests and farms of Costa Rica for giving these birds their habitat. The people protect the avocado trees that these birds feed on, and make very sure the environment is as good as it can be! This area is soooo clean! 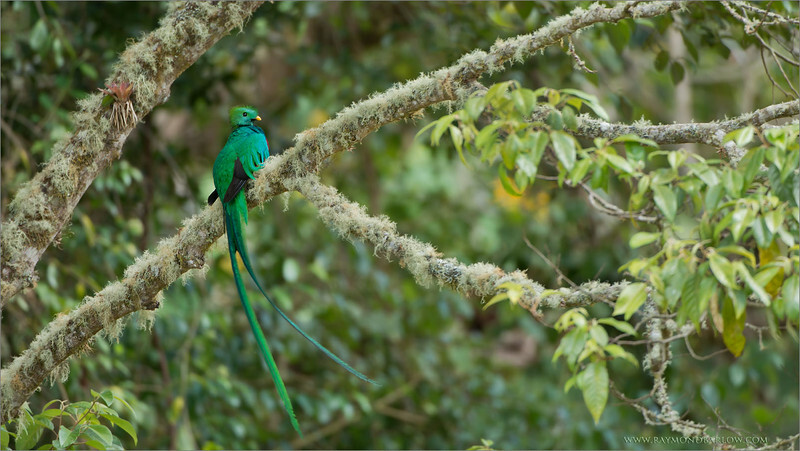 I have friends that monitor up to 8 pairs of nesting Quetzals, so we have good sightings each time we visit. They take such good care of me! 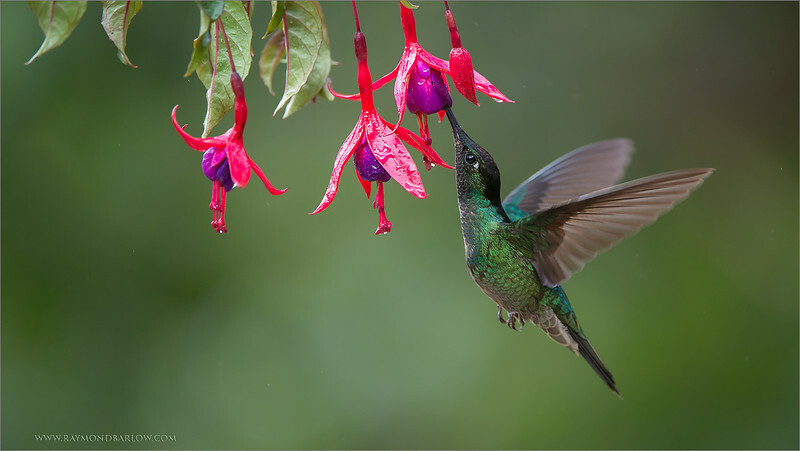 After 17 completed photo tours to Costa Rica, I am proud to say congratulations to all of my connections for doing such a great job preserving nature. Thanks to you people here on Google for sharing my works, and all the kind comments! There are no better rewards then having nice people appreciate my work. Still 2 spots open for this next tour April 30th! 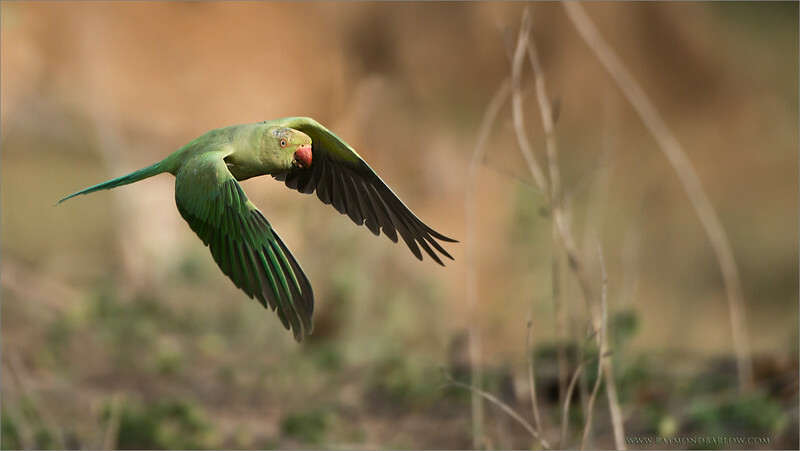 Adding the element of environment can really set a nature photo past the actual capture of the species. 80% of my thought and artistic energy is dedicated to finding just the right surroundings for my subjects. 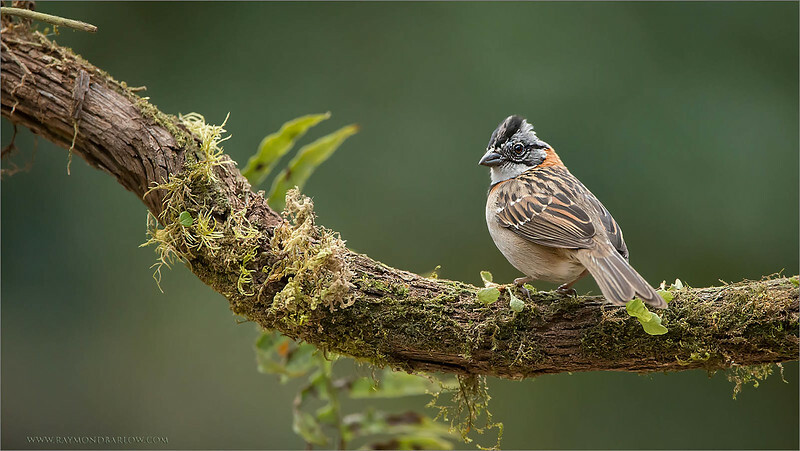 I hope you enjoy this beautiful sparrow, image photographed on my most recent tour to Costa Rica! Join me for my next one in 4 weeks? Always respecting nature... best wishes and happy Easter. 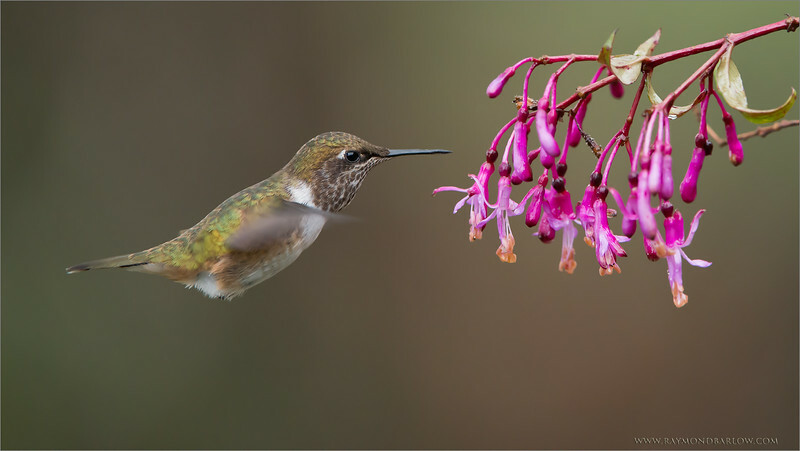 Much like a bee, she floats around the flowers, trying to stay out of the larger birds way. She is a beauty! Still 2 spots left for my next Photo-Tour! April 30th, 2015 - Join me here in Costa Rica! 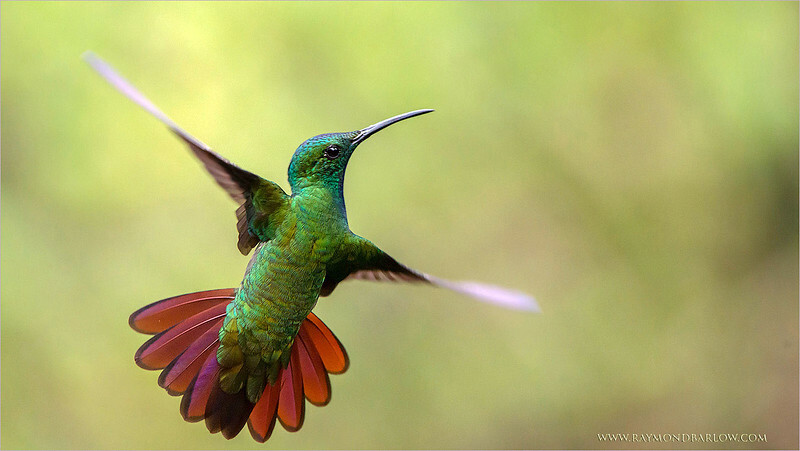 What an amazing bird, such wonderful colours with this fiery-throated hummingbird!! Thanks to my guests this last two tours, we had a great time, so much fun! 17 tours now complete for this destination, number 18 coming soon., and also India this month too! so fortunate to have so many people who follow my work! Best wishes, and take good care of our natural world! Almost everyone, but the colours of these flowers attract the hummingbirds, since they have no sense of smell. 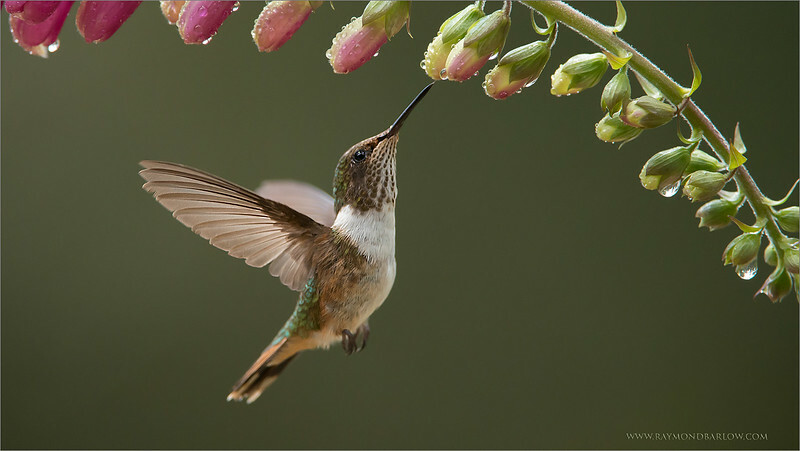 Usually the brightest flower works best for hummingbird photography. 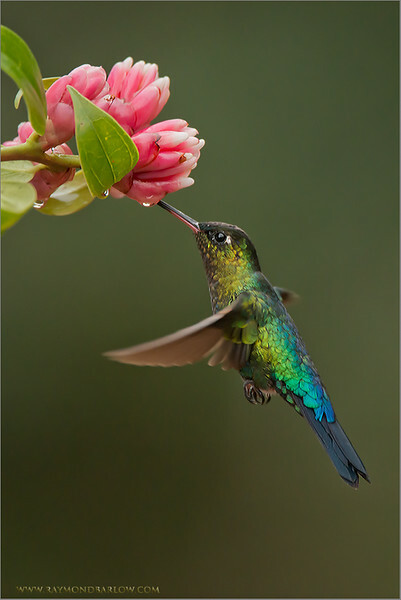 This beautiful male Green-crowned brilliant came in for some nectar during our phototour last week. 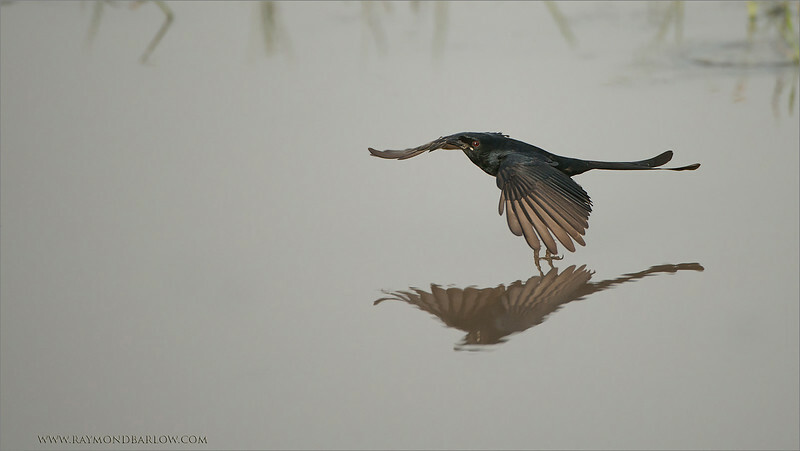 Even a shutter-speed as low as 1/1600 was able to do a nice job freezing the wings. all natural light with all of my images., no flash is ever used. Thanks to all who share and comment, so much appreciated! Save our planet, and respect nature please., for our children. 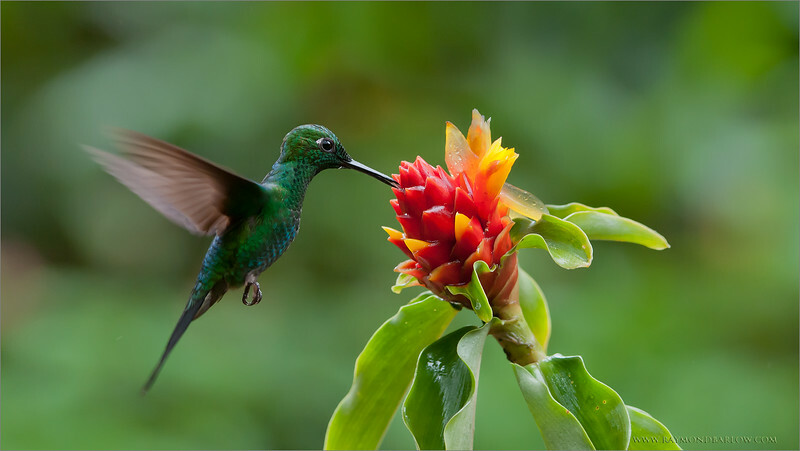 Sweet Nature in Costa Rica! Thanks for looking and commenting on my images! One more full day of shooting here with my guests, then back to Canada soon. We have had an amazing time, wonderful people, and beautiful nature. I hope you like this shot!